Comorbid mental and physical diseases constitute a major challenge for HCPs and the health care system, particularly when caring for individuals near the end of life. Understanding the causes may aid in the prevention and management of comorbid behavioral and physical illness near the end of life. This activity will discuss the comorbidities associated with mental and physical illness, strategies and practice models for optimal management of these comorbidities and address end-of-life support for older adults with behavioral and physical illness. The importance of integrating psychiatry and medicine when managing end-of-life care for individuals who are affected by comorbid mental and physical disorders will also be explored. Identify comorbidities associated with mental illness and potential end-of-life concerns associated with this population. Describe the importance of integrating psychiatry and medicine when managing end-of-life care for individuals who are affected by comorbid mental and physical disorders. List strategies and practice models for optimal management and end-of-life support for older adults with mental illness and associated comorbidities. 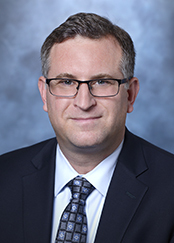 Scott A. Irwin, MD, PhD strives to improve outcomes for those with cancer or other progressive, potentially life-limiting illnesses and their families through leading-edge clinical services; ongoing research; and program development, improvement and implementation. Dr. Irwin has received research funding from the National Institute of Mental Health, the National Palliative Care Research Center, the Archstone Foundation and the John A. Hartford Center of Excellence in Geriatric Psychiatry at UC San Diego. He is the author/co-author of over 100 articles, chapters and abstracts; is frequently quoted in the media; and has been recognized at many levels for his innovative research, teaching and clinical endeavors. In 2014, he was named a fellow of the Academy of Psychosomatic Medicine, and in 2015, he was named a fellow of the American Psychiatric Association. He is also an active member of the American College of Psychiatrists, the American Academy of Hospice and Palliative Medicine, the National Palliative Care Research Center, the American Psychosocial Oncology Society and the National Hospice and Palliative Care Organization. In accordance with the ACCME Standards for Commercial SupportSM, OptumHealth Education requires all those in the control of activity content to disclose their relevant financial relationships. An individual has a relevant financial relationship if such person (or his/her spouse/partner) has a financial relationship in any amount occurring in the last 12 months with a commercial interest whose products or services relate to the activity content. OptumHealth Education ensures that the content is independent of commercial bias. Participants will be awarded up to 1.00 contact hour of credit for attendance and completion of supplemental materials. This program has been approved for Continuing Education for 1.00 total participant hour by NAB/NCERS—approval #20190523-1-A42826-DL. This activity is approved for 1.00 contact hour ([0.10] CEU) in states that recognize ACPE. Attending the full program will earn 1.00 contact hour. OptumHealth Education designates this enduring activity for a maximum of 1.00 AMA PRA Category 1 Credit™. Physicians should claim only the credit commensurate with the extent of their participation in the activity. IL: Illinois Dept. of Professional Regulation, Approved Continuing Education Sponsor, #168-000141. One (1) hour. TX: Approved CE Sponsor through the Texas State Board of Examiners of Marriage & Family Therapists. Provider #151. One (1) CE hour. A certificate of attendance will be provided to learners upon completion of activity requirements, enabling participants to register with licensing boards or associations that have not been pre-approved for credits. To apply for credit types not listed above, participants should use the procedure established by the specific organization with which they wish to obtain credit. This activity is supported by OptumCare – Care Services. To view this activity you will need Internet Explorer 7.0+ or Firefox 3.0+ with Windows Media Player 9+, RealPlayer 12+ or Adobe Flash Player 9+. Be sure to disable any pop-up blocking software prior to beginning this activity. This activity is designed to meet the educational needs of case managers, counselors, nurses, nursing home administrators, pharmacists, pharmacy technicians, physicians, psychologists, marriage and family therapists and other health care professionals (HCPs) who provide care for individuals near the end of life.